The Norris Group provides millions in California loans for professional real estate investors every month. Since 1997, we’ve enjoyed a proven track record of quality real estate investments and are committed to making the process easy and fast. 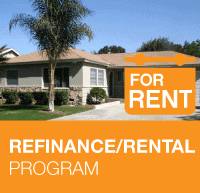 We provide non-owner occupied hard money loans for primarily single-family properties (1-4 units) all over Southern California. Our investors are in Riverside, Los Angeles, San Diego, Long Beach, Bakersfield, Anaheim, Santa Ana, Riverside, Chula Vista, Fremont, Irvine, San Bernardino, and beyond! 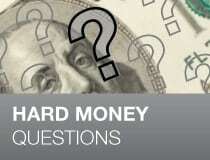 * 0.4% additional interest if investor is not opted in for direct deposit. **Points and LTV/ARV are subject to the required third-party appraisal which takes into consideration property condition, property location, and the investor experience. All loan programs subject to change. The Norris Group’s loan programs are designed for California real estate investment professionals to make the process of investment funding fast and easy. In fact, our simple loan process enables our clients to close their purchases in as little as 5 business days! ** We work with investors buying REOs, short sales, real estate auctions, trustee sales, trustee sale refinances, private party, and even residential construction projects. 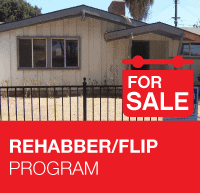 Our program focuses on single-family residential property (1-4 unit) in Southern California including Los Angeles County, San Diego County, Orange County, Riverside County, Ventura County and San Bernardino County. As well as nearby Rubidoux, CA, Pedley, CA, Glen Avon, CA Grand Terrace, CA, Bloomington, CA, Norco, CA, Moreno Valley, CA, Bloomington, CA, Mira Loma, CA, Loma Linda, CA and Redlands, CA. And, you can now offer leverage inside your self-directed IRA and solo 401(k) accounts thanks to our non-recourse loans. Since 1997, The Norris Group has funded well over $350 million dollars to investors which have resulted in millions of dollars in profit for our clients. From start-up investors who are looking to get into the real estate marketplace to the seasoned investors who invest multiple times per year, we have both the funding capacity available and the professional resources to meet your needs. Whether you have a property you need funding for now or need a letter of credit to submit with your offers, start by filling out our secure online loan application. Online application – fill out online and follow the directions. 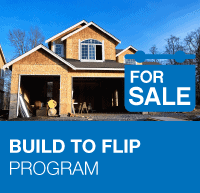 Try our hard money loan program and we’ll give you access to our California Only Investor Training Portal. All you need is an Internet connection and a computer, tablet and/or mobile device to enjoy our award winning investor training, discounts, and economic newsletter. Learn more about how to get free training. Direct Deposit: All loans not enrolled in our Direct Deposit Program will have an additional interest rate of 0.4% for the short-term loan programs (Example: 9.9% compared to 10.3% on direct deposit). Direct deposit allows us to greatly automate servicing to focus more on origination. It also allows you to not worry about monthly mailings. It’s our way of going green and saving green for both sides of the equation. When you come in to sign new loan docs, simply bring in a voided check. 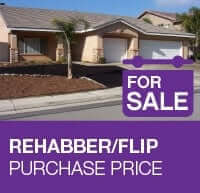 Note: We can close in 5 business days on our Fix and Flip Program. However, a quick closing is completely dependent on the real estate investor giving complete escrow instructions in a timely manner, completely signing and returning docs on time, and keeping us informed of all changes. In addition, when using entities, investors must have all correcting paperwork for the entity. 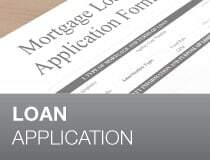 For faster service, investors should fill out a loan application online and be pre-qualified with The Norris Group. It’s easy, fast, and saves time. Closing time for long-term and construction projects will take longer depending on volume of fix and flips which take priority. Call for expected time frames. Craig Hill has over 30 years experience in the Mortgage Business. Craig met Bruce Norris in 1990 and started funding his purchases, along with other investor purchases. Craig and his loan administrator of 30 years, Robyn Alhadeff, joined The Norris Group in 1996. Together they started our hard money loan service for the Norris Group. Our team has since grown to more quickly process and fund every transaction that comes through our doors. See our trust deeds to learn how you can earn passive and secured returns with trust deeds.